EZ-Quote! benefits the manufacturing environment by making the quoting process quick, easy and thorough! 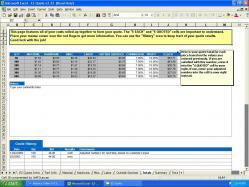 Follow the easy to use program to create consistent, accurate quotes time-after-time. Don’t buy an expensive shop control system if all you’re after is a good quoting module. Covers CNC machining, manual machining & all other manufacturing operations including design, sheet metal, welding, inspection, EDM, water jet, etc. “Hardware” page allows for fasteners, dowel pins, etc. Complete instructions & instant help available at all times, right inside the program! Pays for itself within just a few uses! 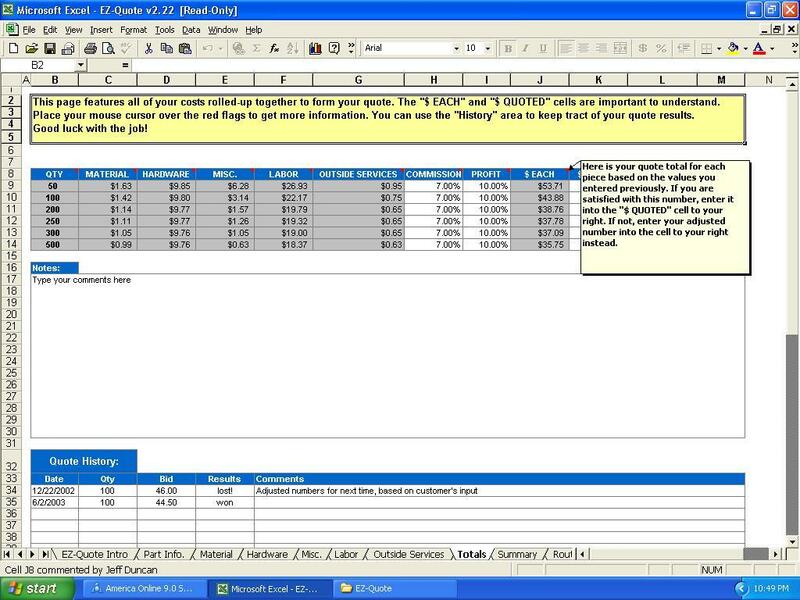 Excel2000, or compatable alternative required. Excel alternative available free of charge if needed. Details at time of purchase.